A ruptured, or perforated, eardrum is a tear in the thin membrane that separates the inner ear from the middle ear. 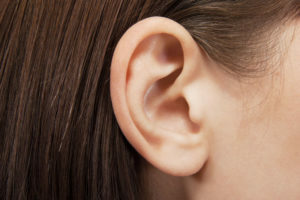 The eardrum is an important part of how we hear, as it is instrumental in the process of converting a sound wave that enters the ear into an electrical signal that gets sent to the brain. The eardrum also works as a barrier to keep water and other objects from entering the middle ear. Ear infections are the most common cause of a ruptured eardrum. An infection in the middle ear creates pressure; this pressure pushes against the eardrum. If the pressure gets too great, the eardrum can tear. Pressure changes, such as what occurs when a plane changes altitude quickly, can also cause a tear. Foreign objects inserted into the ear, head injury or acoustic trauma resulting from an extremely loud noise have been known to cause tears to the eardrum as well. The symptoms experienced by those with a ruptured eardrum can vary. The most common symptoms are a sudden sharp pain, drainage from the ear, buzzing or hearing loss. Some may not feel anything at all. If you experience any of these symptoms, contact your doctor as soon as possible. To confirm the diagnosis, your doctor will use an otoscope, a device with a light on the end, to look inside your ear. Usually, the hole or tear is visible. In order to test if the ruptured eardrum has affected your hearing, your doctor will also perform some hearing tests. The treatment for a tear in the eardrum is minimal; usually the eardrum will heal on its own within three months. To prevent ear infections, you may be prescribed antibiotic drops. To prevent pain, over-the-counter pain medication can be taken. If the eardrum is slow to heal or the perforation is too large, surgery may be needed. Your doctor will use a piece of your own tissue to mend the tear in a simple, outpatient procedure. Call Cape ENT at (302) 703-4025 for more information or to schedule an appointment.